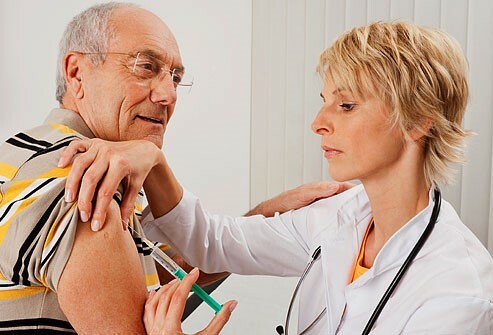 Home Life Health Pneumonia Vaccines – Now there are 2! Do I really need to take both? The Short Answer: YES, you do need both. The bad news – Pneumococcal pneumonia, nicknamed “the Old man’s friend” is a killer. Pneumococcal pneumonia is the most common form of pneumococcal disease in afflicting an estimated 900,000 Americans each year. Approximately 5-7% of its victims die with most of the deaths occuring in people over 65. The good news – there are vaccines. The original pneumonia vaccine (PPSV23) released in 1983 protects against 23 different strains of the bacteria. But alas there were still infections and deaths from other bacterial strains. In 2010, the FDA approved another vaccine (PCV13) to cover those nasty actors. Does insurance cover these vaccines? Which vaccine should I get first? If you already had a prior vaccination with PPSV23 A dose of PCV13 should be given ≥1 yr after receipt of the most recent PPSV23 dose. How often do these vaccines have to be given? Immunity typically lasts for about 5 years. For those whom an additional dose of PPSV23 is indicated, this subsequent PPSV23 dose should be given 6-12 months after PCV13 and ≥5 yr after the most recent dose of PPSV23. Does it cover all pneumonias? Should I take it any time during the year? This type of pneumonia can occur throughout the year so it should be given anytime during the year. Can I take it along with flu vaccine? Dr. Hilton is the President and CEO of Crown Care Hawaii, a local consulting firm providing patient advocacy and Medicare navigation services. Before starting Crown Care, Dr. Hilton was in clinical practice as an internist with a subspecialty of infectious disease. She is Professor of Clinical Medicine emerita at the Albert Einstein School of Medicine. Next articleTax Audit!! What Now?